NFU president Minette Batters has urged Government to put the nation’s food security at the top of the political agenda as latest figures on UK’s self-sufficiency in food have stagnated. Today – Tuesday, August 7 – marks the notional day in the calendar where the British larder would run bare if we fed the nation only British food from January 1. Defra figures for 2017 show that Britain produced 60% of its own food and this rate is in long-term decline. Mrs Batters said food self-sufficiency statistics have always been an important measure of the nation’s ability to feed itself, but with Brexit just eight months away she says it shines a new light on the supply of British food. She added: “British food production has been pulled into sharp focus in recent weeks with farmers across the country wrangling with the impacts of unprecedented dry and hot weather. 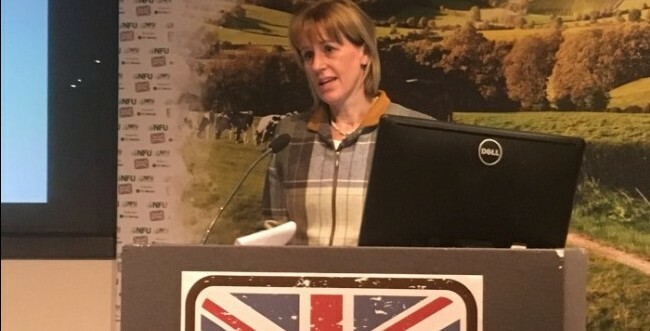 Mrs Batters continued: “We strongly believe that every British citizen should be entitled to a safe, traceable and high quality supply of British food that is produced to some of the highest animal welfare and environmental standards in the world. Home-grown food production must have the unwavering support of Government if we are to achieve this post-Brexit.